Hi, chat with me and I will provide you marketing proposal and advice. MemePR is an international marketing platform that combines artificial intelligence with global marketing experts. All your marketing need and strategy can execute at MemePR. Make your brands viral within 3 mins! Tell us your marketing request. Perform your campaign with our best marketers. Markerting partners receive payment after the campaign. Within 2 months of launch, every round of new product was sold out immediately. Within just 1 month, their memeber number soared to more than 8,000. As the co-organizer of 2017 Maker Faire Taipei, it is a record breaking success with 300+ exhibitors showcasing their products, brands includes Simens, Lite-on, HTC VIVEX, Tobii, etc., 50+ global media coverage, 50,000 participants and ticket revenue over a million dollar in 2 days. Under New Southern Policy, MemePR is one of the pioneer marketing services to Singapore and Malaysia, having USD8M MOU achieved in Ministry of Economic Affairs. 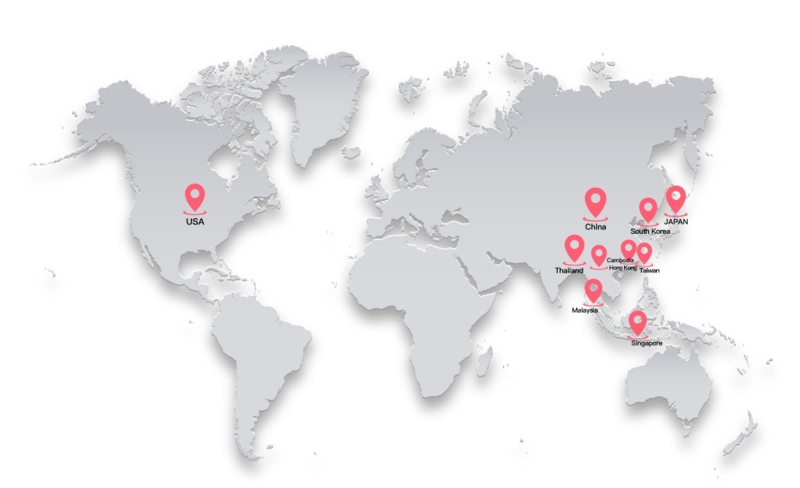 Our partners are from the US, China, Hong Kong, Taiwan, Japan, Korea, Singapore, Malaysia, Pakistan, and more. Using MemePR's media platform, you can easily turn the marketing job to the local professional agency, saving you time and money.